It’s always hard to say goodbye to a character you love, whether it’s a book, film, or game. We spend so much time in their company, exploring their strengths, weaknesses, learning how they adapt to the environments, and how they see the world. These characters become part of us and stay with us long after their journey comes to an end. Fortunately, Take Us Back is a decent send-off for Clementine, one of the most complex, interesting gaming characters of all time. True, some of the narrative plot points are a bit questionable – one, in particular, genuinely confuses me as a fan of the comics / TV show – and it’s possible to leave some narrative threads unraveled depending on choices made but coming away from Take Us Back, I’m satisfied. Satisfied that Clementine has closure. Satisfied that the decisions I’ve been making through this final season have had a genuine influence on AJ and sculpted his choices. Despite the hiccup of Episode Two, ultimately this Season felt like it had a purpose and direction. The end-off point was always clear to me from the time I first sat in that car with AJ. So you won’t be surprised to learn that Take Us Back telegraphs its ending quite early on. About half hour in, I had a pretty good idea how this was going to end up. That didn’t make it any less impactful, if anything it heightened the tension even further. But sadly, Telltale’s newly devised engine doesn’t always compliment that. Sure, there’s a shooting sequence where you need to make use of cover and you have to do the usual stun / kill combo which you’ve done before, but it all feels like retreading old ground rather than exploring new possibilities. It’s an odd thing that we came into the new season with mostly new characters, slightly frustrating as we barely had time to build a proper connection with them. In truth, I don’t have much attachment to the sub-cast here, but in the end, none of it really matters. We knew the main hook was to go full circle. 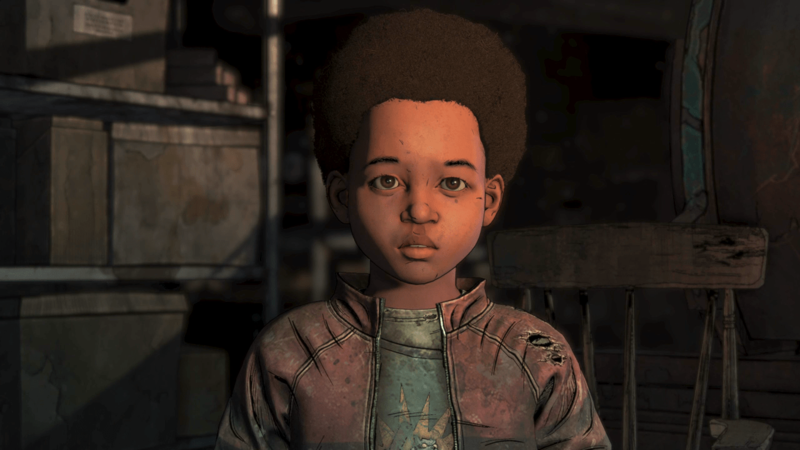 Lee showed Clem the way in Season 1, taught her the lessons and gave her the tools needed to survive in this post-apocalyptic world. That’s exactly what she’s doing with AJ. Teaching him everything she learned from that first episode, conveying it in her own way. For better or worse. The concept is the same, but the execution is quite different. But this episode is particularly poignant in another way because it seemingly spells the end of Telltale Games, a company I fell in love with from the very first episode of Bone. Long before Kirkman’s Zombie fest was at the top of their agenda. 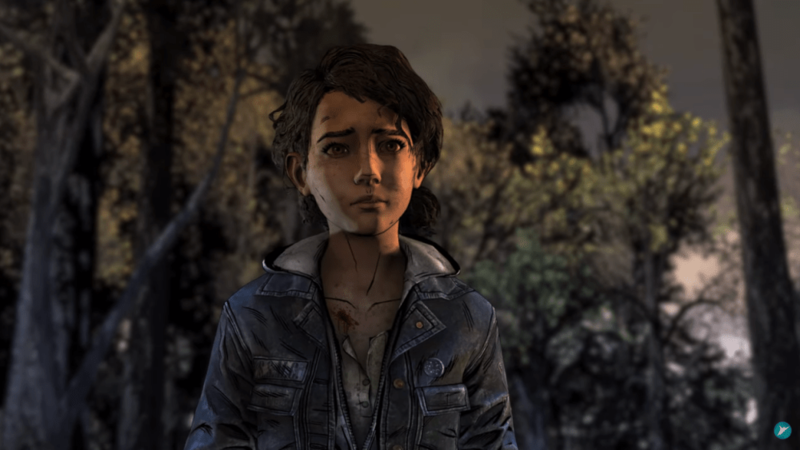 Tears fell aplenty as I picked up on subtle references to older seasons – Clem even makes reference to her treehouse in a particularly touching moment – but also nods and winks to Telltale’s other work. They put their heart and soul into this episode, pulling off some of the most dramatic scenes and powerful lines, and it was genuinely felt. Telltale will always hold a special place in my heart, their approach to storytelling, puzzle-solving, building tension, unveiling surprises, and creating characters. They haven’t always been perfect – as this episode also shows – but they still know how to entertain, even if the team here are barely the same as the ones who started the project. Clementine’s final acts won’t please everyone because they’re often subtle and simple, nonetheless they’re acts which are reasonable and sensible in context of the character and the world they find themselves in. But it’s AJ’s narrative arc, for me, which really drives this episode home. It’s the young boy who takes centre stage here as you see the results of your actions throughout the rest of the season come to the boil. Looking from behind the crooks of your fingers, you learn his fate and what his place in the world might be.